Chris Gardner was an ordinary guy, working as a salesman of medical supplies. Some years ago he was like most of the people in the world, struggling to earn enough for a living and take care of his kid and girlfriend. One day he saw a very well dressed man in a nice red Ferrari, trying to find a parking place in a crowded parking. Chris offered the guy his parking spot, in exchange for the answers of two simple questions – “What do you do for a living, and how?”. The Ferrari guy delightfully said that he was just a stockbroker, trading stocks for his clients. He was earning around 70 thousand dollars per month, a lot more than Gardner’s annual income. Without wasting more time, Chris started looking for a brokerage company that would like to hire a man like him. As you probably guess, it was not an easy task for a guy who didn’t even have an idea of what a stock is. But he had a clear goal and he was persistent. And one day happiness smiled at him, Gardner managed to arrange the desired job and before even starting it, he quit his career of a medical supplies salesman. But there was a little surprise, when he appeared in the office for the first time, he found out that the man who hired him was fired on that day. Bad luck, Gardner was left empty handed and unemployed. But that was not all. A few days later, the police came at his home after a fight between him and his girlfriend. After checking his identity, the men of law established that Chris had unpaid parking tickets for more than a thousand dollars. They asked him to pay. But he had no job and no money, this was how Gardner was sent to jail for several days. After he was out, he found out that his girlfriend had left him. That was not really the best time of his life – he had no money, no home, no family and he had to live in a boarding house. When Gardner was looking for a brokerage firm, he had managed to arrange an interview with a manager of such a company. It was after a couple of days. This was the last chance for him. He had to persuade the manager to hire him. Having no clothes, he had to appear dressed in jeans and sporting shoes, which wouldn’t help much. May be luck was on his side at that time, or he just was very persuasive, but he got the job. Nice so far, but after a while, his ex-girlfriend came to him and told him that she didn’t want the baby anymore. Children were not allowed in the boarding house where he was and he found himself homeless with a little kid. Gardner was in a nightmare. He and his little boy had to sleep in the cheapest hotels they could find. Spending more time with his son, left him with less time to work, which reflected on his salary and income. At some point of time they had to even move into a homeless hotel, because they couldn’t afford anything else. They lived there for a year. Everyday, they had to carry all of their stuff with them, because there were no keys in the building. After a while, Gardner managed to save enough money to return to his previous home with his kid. His colleges never understood anything for his extreme life. Slowly he managed to step back on his legs and return to a normal living. In 1982, Chris passed a broker licensing exam and became a full employee of the company. He didn’t stop elevating in his career and continued ahead. Everything went well and he founded his own brokerage company in Chicago a few years later with $10 000 initial capital. His first office was in his apartment, where his working desk was transformed into a dining table in the evening. 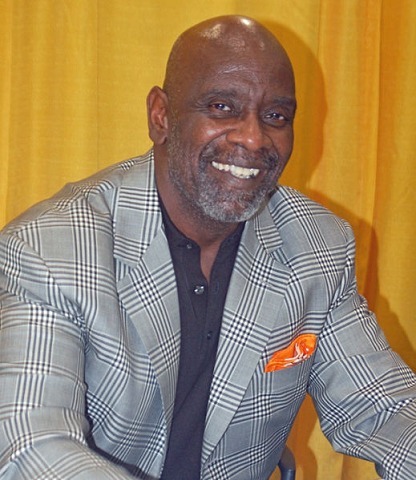 Today Chris Gardner is a famous investor, entrepreneur, publisher and philanthropist. In a few words – a very successful man, who has achieved everything in his life starting from scratch. He gives nice amounts to charity, helping poor an unemployed people not only with money, but also with clothes and education. In 2006, Gardner issued a book about his life called “The Pursuit of Happiness”, in which you can see some life lessons in getting from where you are to where you want to be. In the end of the same year, The Pursuit of Happiness Movie was released, which is a must watch film for everyone. Dis you like this post? Please, consider sharing it with some friends on your best social site. Thanks!